OK, I admit it. I am a little concerned about how medical marijuana might impact the neighborhood I love so much in Stapleton. But, I have an open mind and I want to know as much as possible about the issues around it. So, I recently attended the Stapleton Community Forum for an update on what is going on with the medical marijuana dispensary opening in Stapleton and also to get a pulse on what my neighbors were thinking. In attendance were Councilman Michael B. Hancock, Colorado State Senator Chris Romer, Councilwoman Carol Boigon, Denver law enforcement officers, Stapleton and Park Hill residents, and parents of students who attend the Denver School of Science and Technology. The one thing that is for certain, this issue is causing distress for many residents and parents and it doesn’t look like it will be resolved anytime soon. The state of California, for instance, has been struggling with this issue since 2007. As I stated in my earlier article, Legal Marijuana in Stapleton, the big issue for Stapleton parents and Denver School of Science and Technology parents is that this dispensary will operate within 1000 feet of the high school. Senator Romer informed the attendees that with enough community backlash and involvement the Senate does have the authority to overturn the Denver City Council’s decision to grandfather this particular dispensary due to the date of which they obtained a sales tax license. There are currently 19,000 people on the medical marijuana registry with approximately 19,000 in the process of joining the registry. The concern is that of the 38,000 people who will be officially on the registry, what percentage will be there for justifiable medical reasons. Senator Romer also informed the group that he is working on a bill that first solves the doctor/patient problem with dispensaries. As it stands, some dispensaries have on-site doctors who are paid by the prescription. In other words, the more scripts for medical marijuana they write, the more money they make at the end of the day. His bill would mandate that a bona fide doctor/patient relationship exist. Senator Romer’s bill would also require that any under the age of 21 be subject to a medical review board prior to obtaining a medical marijuana card or receive a 2nd opinion confirming the need for medical marijuana as treatment. Lastly, the bill will create a 24-hour day registry for patients. Senator Romer is also working on a 2nd bill that will deal with dispensaries and growing operations and would include a five patient cap per caregiver. He seemed less confident that this bill would be adopted. Senator Romer informed the group that another bill is also being introduced that addresses the patients per caregiver issue. This sheriffs-association-backed bill would outlaw the dispensary business in Colorado. And so the story continues…stay tuned to find out when 5280 Wellness, Stapleton’s medical marijuana dispensary, opens and what bills if any get passed into legislation. 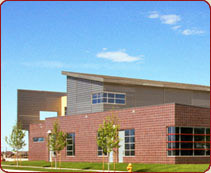 For more information on the Stapleton neighborhood or living in Stapleton, visit www.stapletondenver.com. As a chronic pain sufferer and a 53 year old woman, I would find it hard to relocate to Stapleton if they didn’t have a dispensary. I love the area and love the fact that this is a green community, I do all I can to save energy etc. You have a beautiful community, but there must be room for all, not just the chosen few, who by the grace of God do not suffer like I do.